The video clip below documents an interesting case of an uncontrolled diabetic patient. He had a severe infection with aggressive flesh eating bacteria causing serious tissue damage and sepsis with an abscess forming. The basic treatment for an abscess is “Incision and drainage”. Even some qualified doctors wrongly believe that an abscess will clear up with antibiotic treatment only. Now you know something about medicine that some qualified doctors don’t. How cool is that? Surgical Debridement The body can get rid of minute microscopic amounts of dead tissue or foreign material. Bigger pieces of dead tissue must be removed surgically. Sterilization and Safety. Always work as aseptically as possible with sterile instruments and use all the barrier techniques available, e.g. gloves, visor or glasses, surgical gowns and drapes etc). Be aware of the importance of the dangerous triangle of the face. In destructive infections use aggressive intravenous (into the vein) antibiotic therapy. Ensure that a pus swab is taken so the lab can test it and determine antibiotic sensitivity (how well the antibiotic fights the germs). Adjust the antibiotic treatment according to the antibiotic sensitivity results coming back from the lab. As indicted in one of my previous newsletters, infection is a very serious condition and often a life threatening condition, especially if it occurs in the dangerous triangle of the face. Cavernous Sinus Thrombosis is a deadly condition as you would have noticed in that newsletter. The danger triangle of the face consists of the area from the corners of the mouth to the bridge of the nose, including the nose and maxilla (upper jaw). 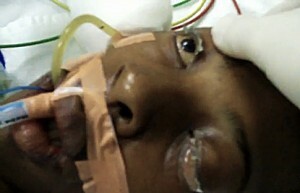 Due to the special nature of the blood supply to the human nose and surrounding area, it is possible for infections from the nasal area to spread to the brain via small communicating veins traversing the base of skull, communicating with the venous sinuses surrounding the brain. I trust you have learned something – if so please let me know by leaving a comment! Thank you for this site. This information regarding abcess is so true. ” The basic treatment for an abscess is “Incision and drainage”. I’ve had two in the same navel area. It kept coming back and went to emergency room and doctor prescribed strong antibiotics and they did not work. I ended up having skin around my navel removed. Now I have swollel lympnodes and wondering if it has something to do with the abcess. Thank you! The most common reason for swollen lymph glands would be infection within the “drainage area” of those glands – and once enlarged – will take some time to subside again.